I know I’ve mentioned this before in a previous post, but Lip Smacker was one of the first beauty products I found out about and started wearing. The flavours, the scents.. everything drew me in. What young girl didn’t want to collect them all and keep one (or a few) with her at all times? Now flash forward today and I can’t help but still reminisce about that time in my life and how it means more to me now than ever before. I think about it so fondly now because one day I will get to share my first beauty love with my own daughter and get her as obsessed with them as I used to be and frankly, still am. Lip Smacker has come a long way since I discovered them in my childhood. They still have the classic lip balms like Dr. Pepper, Watermelon, Strawberry, and the list goes on, and they’ve released new balms over recent years that target young and old adults alike with their Coffee House Party Pack and launching balms in packaging that makes it necessary to buy at least 2 of so you can put one on display. They are always staying innovative and fun with their new product lines which still gets me excited to add to my collection but also excited for when my daughter can start wearing lip balm. I’ve got quite a few years until that time comes, since she hasn’t even been born yet, but that will not stop me from introducing her to my collection and telling her all about my childhood experiences with Lip Smacker. 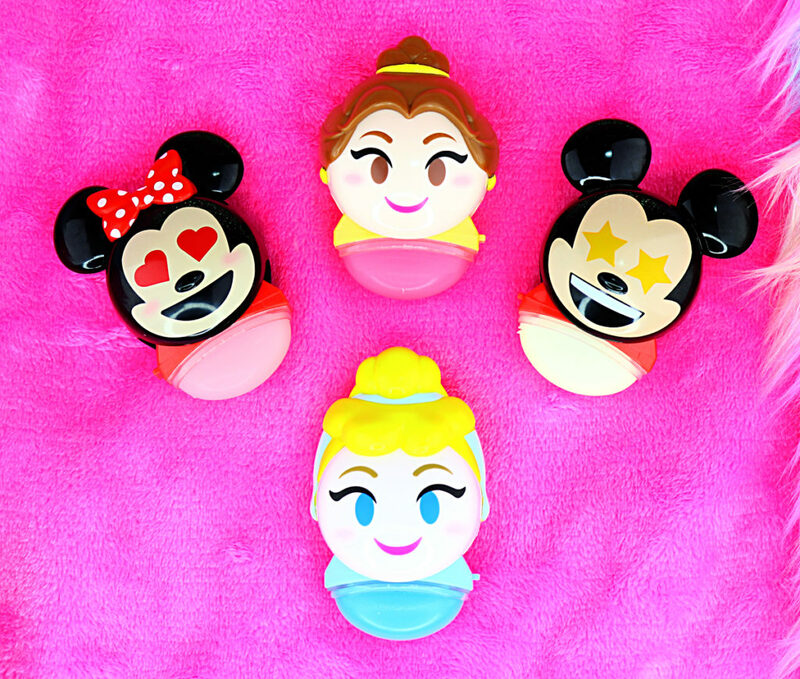 One of their new launches comes in the form of their Disney Emoji Flip Balm’s. Not only does this merge the love I have for Lip Smacker lip balms but also for Disney anything. The Disney Emoji Flip Balm’s ($4.95) feature a different emoji expression on each side of the balm that flips open to reveal a yummy flavour within and also comes with 7.4 grams of product. For instance, they have Disney princesses like Belle from Beauty and the Beast who, of course, is scented/flavoured with rose. And there is also Cinderella who has a berry scent/flavour. You can also get the Mickey & Minnie Duo ($9.49) where Mickey has a birthday/vanilla cake scent and Minnie smells like strawberries. Each one has a different scent/flavour to them and that’s another thing about them that makes them fun to collect. The next new collection that I cannot wait to show my daughter is the new Lippy Pal Lip Balm Trio’s ($10.99). 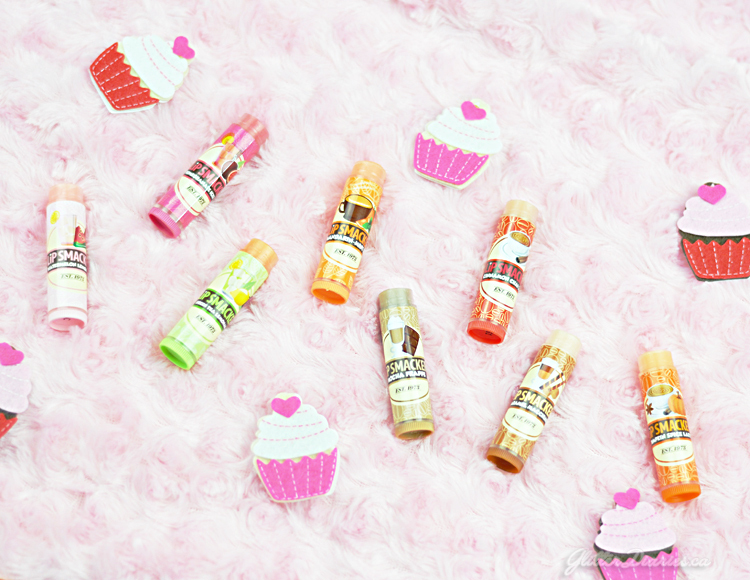 It’s an adorable collection featuring cute little animals on the packaging that contain fun flavours inside. Each of these Lippy Pal’s come from different trio’s and the pink Fox is flavoured with apples, the Panda Bear has a cream puff flavour, and the Kitten has a watermelon flavour. There really isn’t a rhyme or reason to most of the flavour and animal pairings but it just goes to show how different each one can be and how addictive they are to collect. These are absolutely collection-building worthy and are so cute to display on your vanity or pull out of your purse. Gone are the days when lip balm used to nothing fancy to look at and just something you put on your lips and toss back quickly into your bag. Now you can show them off and have fun collecting them especially if you’re like me and love anything Disney related and anything with adorable animal packaging. This makes the experience of applying lip balm more exciting than it used to be and even though Lip Smacker balms were pretty exciting to buy and wear back when I was a kid, it’s even more exciting now because of how far the brand has come and I can’t wait to share that with my daughter. I don’t want her to grow up too quickly by getting her into makeup at a young age (even though I’m so excited and anxious to) but lip balm is something you can get a kid into before all of that because not only is it beauty related but it also gets them in the habit of starting to take care of their skin as they grow up and that is something I absolutely want to pass down to my baby girl. 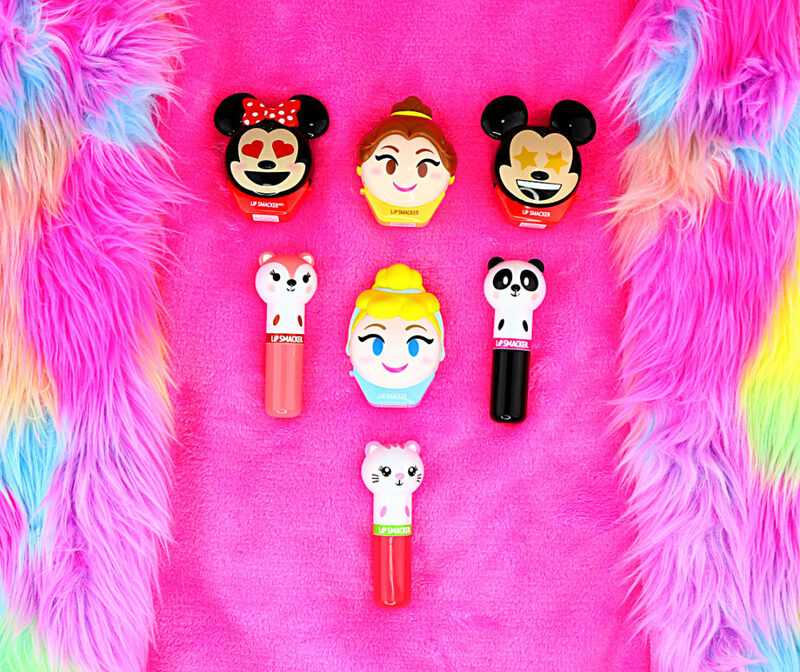 What do you think of the Lip Smacker Disney Emoji Flip Balms and Lippy Pal Trio’s? If you have kids or are pregnant like me, what are some beauty traditions you have or are going to be passing down to them?! Share your thoughts below! Disclosure: These products were provided for editorial consideration, however these are my honest opinions. I was sent two Lip Smacker sets not long ago, which included the Pink Lemonade Glam Bag, and I had to save the best one for last because I was looking forward to trying it out the most. I’m a coffee addict, so when I heard about the Lip Smacker Coffee House Party Pack, I knew it was meant to be. Take a coffee break anytime you want with the Coffee House Party Pack. Delight your senses with the sweet smells from nine coffee house inspired Lip Smacker’s that range from Caramel Macchiato to a Green Tea Lemonade. Get your coffee house scent fix while moisturizing and soothing your lips and leaving them looking soft, shiny and full of flavour. These lip balms remind me of the smells that hit me as soon as I step into a Starbucks. 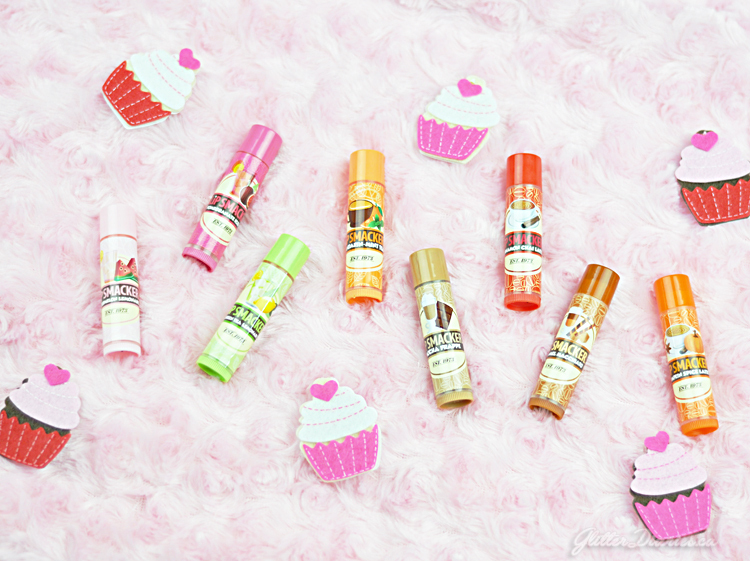 Lip Smacker always nails scents perfectly and that’s what makes their products so nostalgic. If you’re like me and like having a balm on you in every bag, a set like this is perfect for that. They keep my lips moisturized and it is so much fun to switch up flavours depending on my mood. There is something in this set for everyone. They have flavours for everything, from year round faves to seasonal delights like the PSL (pumpskin spice latte for all of you non-addicts), so it’s fun to wear something like that any time without having to wait until fall. Plus, they’ve got enough non-coffee scented balms in there for anyone who isn’t a fan. This set will be enjoyed by young coffee drinkers and fully addicted ones like myself who have loved Lip Smacker’s for a long time. Who wouldn’t want to slather on their favourite flavour of drink or whatever else Lip Smacker will come out with because they nail it so well? What do you think of the Lip Smacker Coffee House Party Pack? Which flavour is your favourite?! Share your thoughts below! Nostalgia alert! I was a bit of a tomboy as a kid and was all about wearing baggy shirts and pants to emulate my favourite band at the time, The Moffatts. I wasn’t too much into makeup then but one thing I did love building a collection of was Lip Smacker’s. It all started with the cult classic Dr. Pepper and then I was hooked from there. Lip Smacker has been doing a lot of fun and unique things with their flavoured lip balms lately, which includes their new and totally adorable Pink Lemonade Glam Bag. Satisfy your girly glam appetite with the Pink Lemonade Glam Bag which includes Lip Smacker Moisturizing Lip Balm in Pink Lemonade, Whirly Shimmer Gloss in Pink Lemonade, Whirlin Glitz n Go in Pink Lemonade and a yellow nail polish. The Whirlin Glitz n Go can be used on your cheeks, arms and legs for a glitzy pink lemonade shine and the yellow nail polish is a sheer, buildable polish, perfect for young, fledgling nail artists. This glam bag takes my senses back to the good old days of being a kid and slicking on a tube of one of the original Lip Smacker’s. The scent smells exactly like pink lemonade and is perfect for spring/summer, while the moisturization is still on par with some of the more expensive lip balms out there. 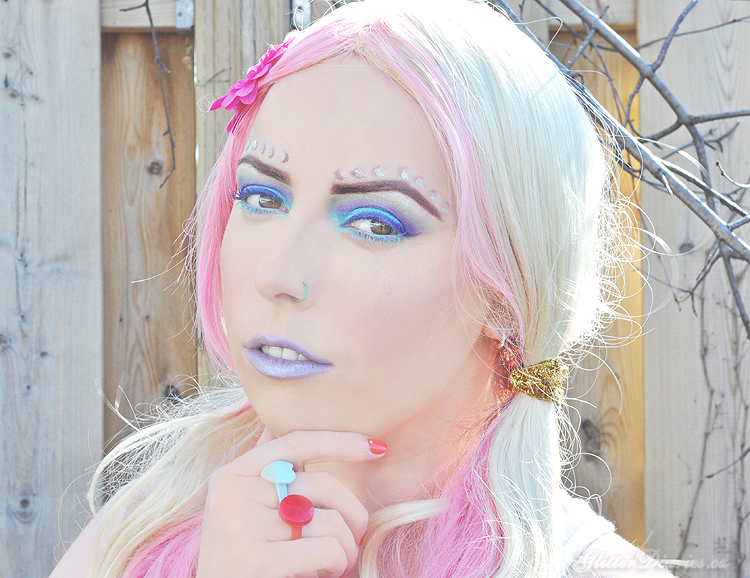 The Whirlin Glitz n Go is a shimmery coral pink that dries pretty quickly after you apply it. It’s fun to apply to your arms for a light pink shimmery glow and you can add a bit of it to your cheeks for a shimmery highlight. 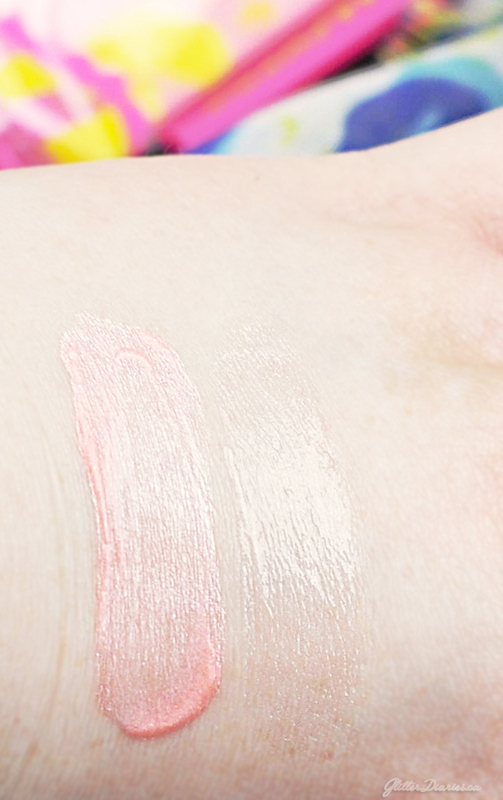 The Whirly Shimmer Gloss is more of a lip topper because it has a very faint pink colour and it has an average wear time with a slight stickiness. The nail polish is a little bottle and the colour is a bit sheer but gives your nails a cheery, shimmery yellow that’s buildable. This bag is great to pick up for nostalgic reasons or if you have a young sibling, cousin, daughter etc. that’s too young to wear makeup but you want to get them started with a fun, beauty pack. Be sure to look out for another Lip Smacker review coming up in the weeks ahead! What do you think of the Lip Smacker Pink Lemonade Glam Bag? Were you into Lip Smacker’s? If so, what was your favourite flavour?! Share your thoughts below! Disclosure: This product was provided for editorial consideration, however these are my honest opinions.